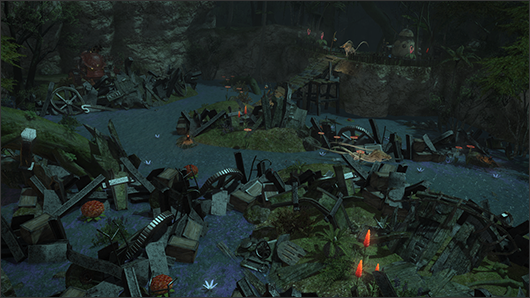 Discussion in 'Final Fantasy XIV News' started by Fuzz, Mar 9, 2014. Coming in 2.2 will be a new dungeon and two new hard mode dungeons as previously reported. 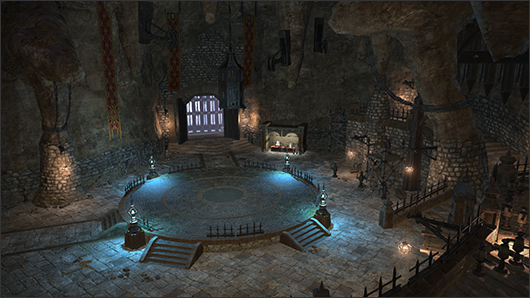 Square Enix spotlighted the dungeons for a quick look into them. The screenshots provided do not tell as much about the dungeon. One interesting note is that these dungeons will be ilvl55 for their requirements. It should be noted that the last dungeons from 2.1 were ilvl48. So there is an increase in the gear requirements. However, Pharos Sirius was also admitted by the developments as being harder than the rewards granted. So it is unknown how that information will factor into the new Amdapor dungeon if it will be as challenging as Pharos are more so, but with greater rewards than the new hard modes. While not confirmed yet, it is highly likely these new dungeons will have the new tomestones as a reward. It's unknown how they'll give them out, but best guess would be that the new dungeons will reward mythology and the new tomes, since the cap on mythology is dropping. 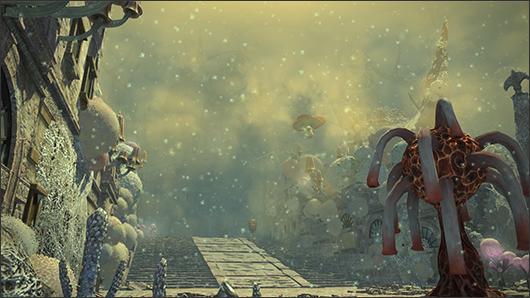 Preparations for patch 2.2 are full steam ahead, and in today's preview, we'll give you a glimpse of The Lost City of Amdapor, as well as the hard mode Halatali and Brayflox's Longstop dungeons! Born in magic, the ancient city of Amdapor lived in splendor and died in agony. As the Fifth Astral Era gave way to the Sixth and the ensuing catastrophe, the agent of Amdapor's destruction slept. Now, the seal that has held so long is softening like windfallen fruit─and what blind worms writhe behind the skin of the dead city? Quest PrerequisitesPlayers must first complete the quest "The Ultimate Weapon." Halatali! The very name turns some spines to water and others to steel. Lurid marks of the recent lawlessness remain still, but daily the drudges conquer halls slick with ichor and doorways festooned with things not for gentle eyes. No less deadly for its newly-restored order, the fabled training grounds yearn for new blood─perhaps to brighten the freshly-scrubbed walls of its vast chambers. Brayflox's Longstop is overrun with forces of the Illuminati; the furious goblin scholars are bent on recovering a secret recipe centuries in the making and a moment in the filching. Having been pressed into service as Brayflox's boon companion, you have no choice but to disregard the facts of her thievery and defend the Longstop from all those who would seize it from its rightful holder. Quest PrerequisitesPlayers must first complete the quest "The Ultimate Weapon. "Players must first complete the quest "The Ultimate Weapon." * Development screenshots are subject to change.